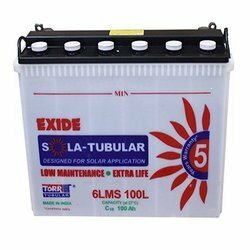 We are a leading Manufacturer of exide solar battery 100ah (6lms100l), solar energy batteries, luminous 100ah tall tubular solar battery, luminous 150ah tall tubular solar battery and exide solar battery 150ah (6lms150l) from Chennai, India. Today's batteries are better than ever, and so are the devices that regulate and protect them. It is important to do your homework, however, when it comes to getting the right batteries and maintaining them. 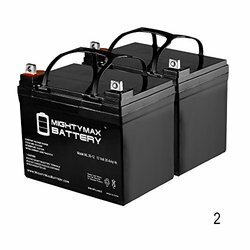 Flooded lead acid batteries are more economical and tend to last longer than sealed batteries, but they require regular maintenance. 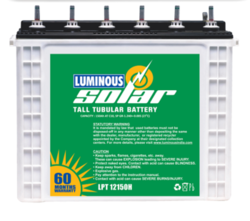 A Luminous Solar Batteries are c10 rating deep cycle batteries specially designed for longer back up. 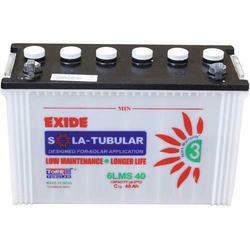 We have solar batteries of rating starting from 20Ah to 200Ah in 3yrs 5yrs warranty.